Florida manager Rene Lachemann had plenty of praise to spread around after this September 1997 game and much of that praise went to hurler Pat Rapp, according to The Associated Press. Rapp threw a one-hitter for the Marlins in Denver of all places. Teammate Gary Sheffield helped Rapp's cause by going 5 for 5, The AP wrote. "Mr. Sheffield had quite a day and you can't pitch any better than Rapp did," Lachemann told The AP. "I'd say Sheffield is back from his injury and Rapp pitched his best game of the year, if not his career." 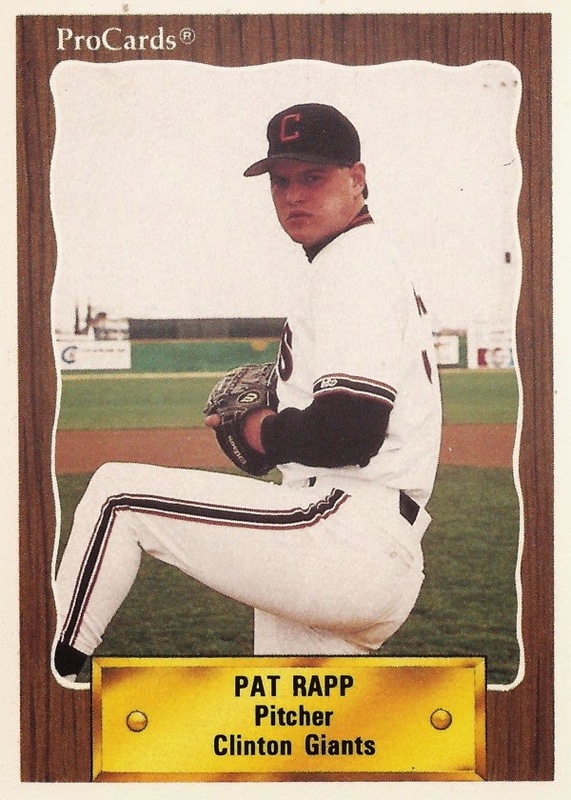 Rapp pitched that game as part of a monster second half of 1995, going 11-2 after the all-star break. That was his fourth season in the majors. He went on to play in 10 seasons total, picking up double-digit wins twice. Rapp's career began in 1989, taken by the Giants in the 15th round of the draft out of the University of Southern Mississippi. He started with the Giants at rookie Pocatello. He moved to single-A Clinton in 1990, then made AA Shreveport and AAA Phoenix in 1992. It was also in 1992 that Rapp debuted in San Francisco. Rapp got into three games for the Giants that year. He then moved to the Marlins in that November's expansion draft. He got 16 starts for the Marlins in 1993, going 4-6. He went 7-8 in 23 starts in 1994. He then had his career year in 1995. He went 14-7, with a 3.44 ERA in 28 starts. Rapp then underwent back surgery and returned to go just 8-16, with a 5.10 ERA in 1996. He came back for 1997 and credited a regimen of throwing footballs with helping him get back to form, according to The Miami Herald. That April, Rapp threw a shutout, his first since the Colorado game in 1995. "I was throwing where I wanted to and I stopped trying to pick the corners," Rapp told Reuters. "My ball was moving too much, so I just relaxed and just threw the ball." Rapp had 19 starts for the Marlins and six more with the Giants after a mid-season trade. He played for the Royals in 1998, going 12-13, then the Red Sox in 1998. In 2000, he went 9-12 with the Orioles. He set down 17-straight batters in an August game, his first after returning from seeing his ailing father. Rapp's final season came in 2001. He went 5-12 with the Angels, recording a 4.76 ERA.